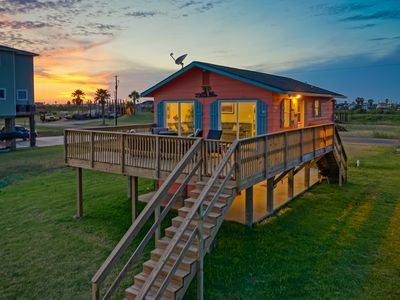 LUXURIOUS BEACH RETREAT WITH THE BEST FISHING AND OCEAN VIEWS IN ALL OF SARGENT! 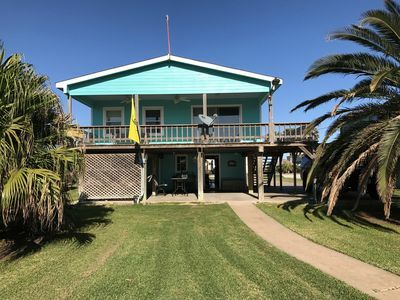 This serene bay front house has the most stunning beach views and provides the most paramount fishing in all of Sargent. Welcome to Double Trouble. 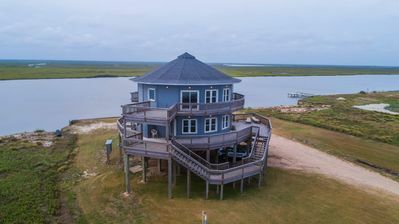 This elegant home was remodeled in 2018 and is the perfect getaway located right on the Intracoastal Waterway. 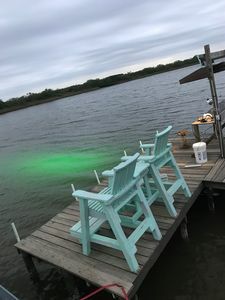 One of the highlights of this rental is the TWO private fishing piers equipped with the BRIGHTEST fishing lights in town providing excellent fishing all night long for trout, red fish, flounder and many other species of fish! On the dock is a brand new custom built covered fish-cleaning station with electricity, water, and sink. 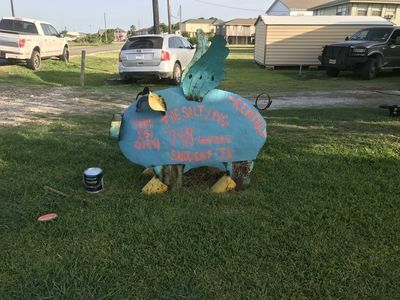 Sargent is known for its exceptional crabbing and this area is loaded!! We have multiple crab traps at the property for you to use and enjoy! You cant beat a crab boil at the beach!! 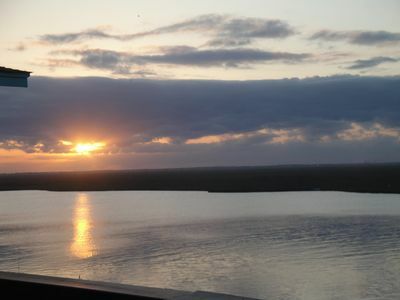 The evenings are especially enjoyable watching the sunset and the dolphins swim by in the intracoastal while you relax on the luxurious patio furniture. There is a top-of-the-line propane grill and normal charcoal grill available for outdoor cooking. 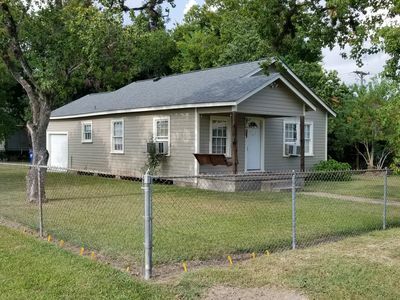 This amazing home offers two bedrooms and one full bath! 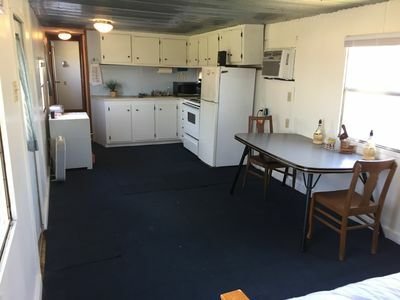 One bedroom has 2 twin-sized bunk beds. 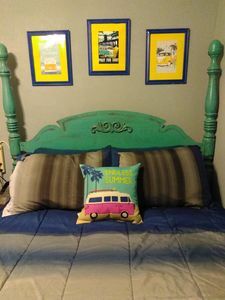 The other bedroom has a full-sized bunk bed with a twin-sized trundle bed. The sleeper-sofa has a full-sized pullout bed. That is a total of 8 beds! 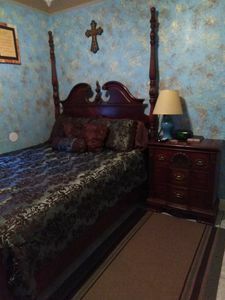 All beds have sheets, pillows with pillow cases, and quilts. 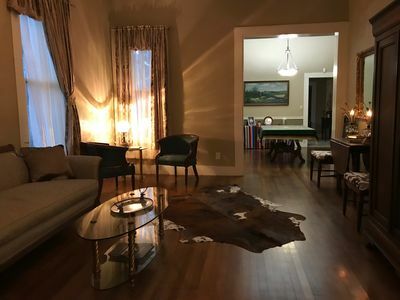 This home sleeps 10 guests. DirecTV is provided. 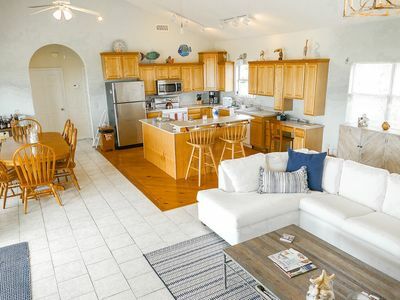 The kitchen is fully stocked with everything you could possibly need; including refrigerator, stove, oven, dish washer, pots and pans, dishes, silverware, cooking utensils, coffee machine, blender, glasses, and much more. in the down stairs storage room we have a full washer, dryer, and separate fridge for you to use and enjoy. There is also a small kids pool, beach toys, and boogie boards you may enjoy at the house or beach during your stay at Double Trouble. 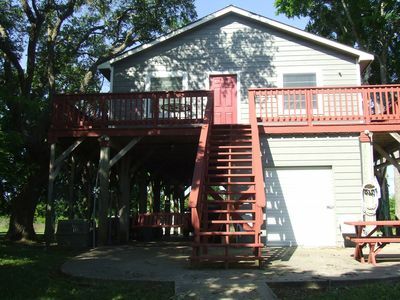 Come enjoy an amazing relaxing weekend in the small quiet town of Sargent! The food is tasty, the beaches are beautiful, and the fishing is amazing! 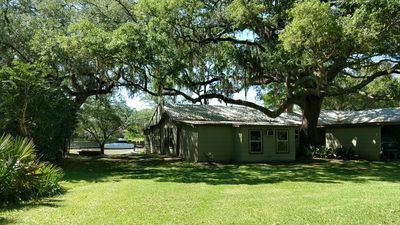 Great river house, nice screened in porch, Central AC, huge oak trees. 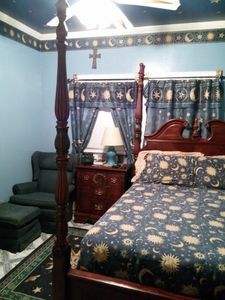 Beautiful relaxing sun and stars room with your private small Kitchenette. 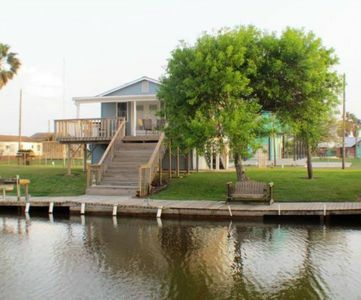 REEL Paradise - Pet Friendly with new fishing pier! 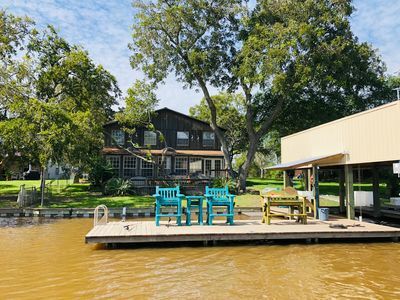 Waterfront on Caney Creek! 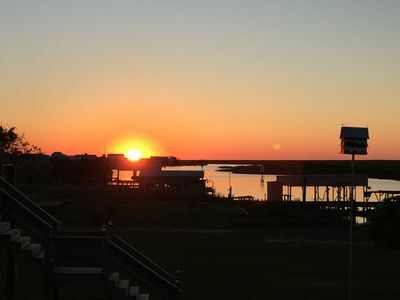 Amazing Sunsets, Great Fishing, Boat House & Dock! Yellow House - Amazing View of the Creek from every room. 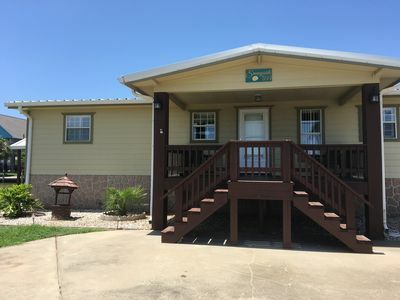 NEW LISTING** Heron Haven on Caney Creek is the newest vacation destination !!! 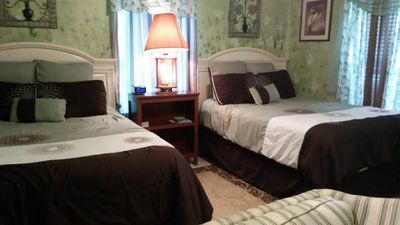 KLAUZZ Surfing Room , Queen bed with shared bathroom. 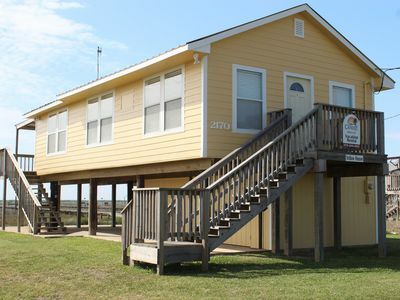 Beach front paradise big yard 3 BR great for groups & family trips!